Some of the second graders in Mrs. Zookey’s class have a new interest: chess. Vice principal Mr. E (and he is something of a mystery) has started a chess club, and Richard, Ben, Ophelia, and Patrick are all members. As usual, Patrick is a nuisance, and so Richard isn’t at all happy when Mr. E tells him that he and Patrick are alike. It’s true that to become better chess players, both of them need to learn to concentrate and to plan ahead. And Richard is determined to get better at chess, even if it means putting up with Patrick’s shenanigans. 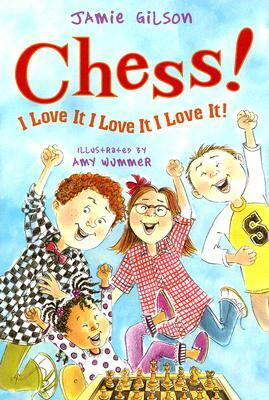 With on-target themes like competition, teamwork, and loyalty, plus a dash of magic and a generous helping of chess facts, this new Table Two adventure is the kind of lively, funny school story that only Jamie Gilson can tell.